Our middle school equestrians ventured into the outdoors this past weekend in preparation for their upcoming spring camping trip! 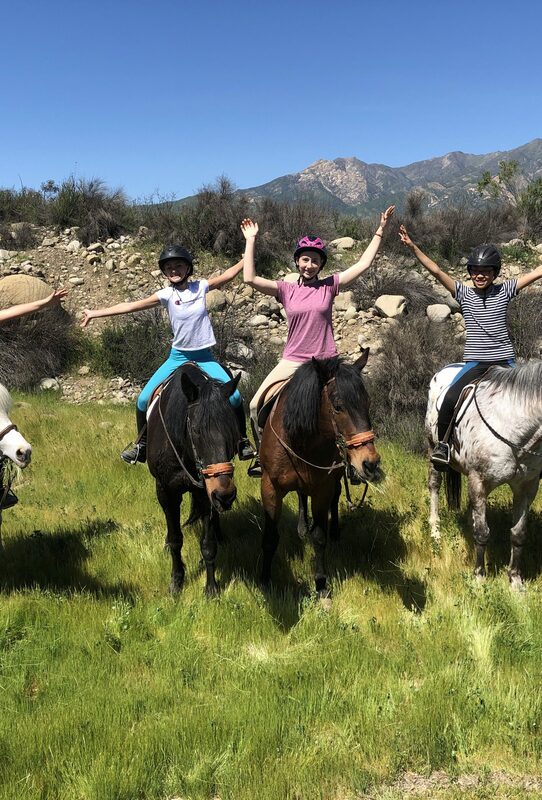 Four riders and two instructors explored the trails in the Ventura River Preserve, a protected area for hikers and horseback riders that meanders along the Ventura River in the Ojai Valley. The site offers an excellent venue for the middle school riders to become familiar with water crossings and other challenges when riding out of the campus arena. It was the second off-campus trail ride for some of the riders, who will be “horse camping” for the first time later this month in the mountains north of Santa Barbara. The opportunity for middle school students to participate on a week-long camping trip with their horses is one of the unique aspects of the OVS equestrian program. Students also participate in horse camping trips at the high school, and they have the opportunity to join a Spring Break Equestrian Trip. This year, riders are heading to Montana for a western riding experience. In past years, students have ridden cross country in Ireland and trained in classical dressage in Portugal. Learn more on the equestrian pages of the OVS website!